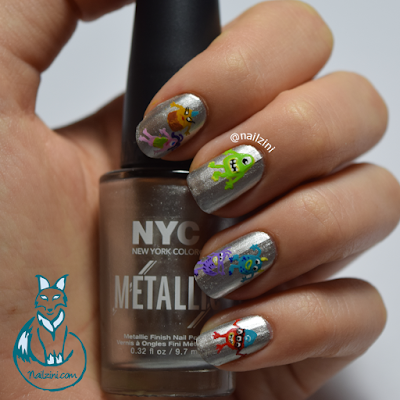 Cute little Monsters, Inc. Halloween nail art. Who says monsters need to be scary? Not me! It's that time of the year again! Time to dress up, go trick-or-treating, watch scary movies all night or, for the adventurous, go out on a scary Halloween Walk. Which is what I'm doing tomorrow night! A scary walk through woods and corn fields where people in costumes grab your legs or chase you with a chainsaw. Now I must admit I'm not the most courageous person when it comes to scary stuff, the smallest thing makes me scream. So instead of going for scary bloody monsters I went with cute friendly ones, one frightening thing at a time for me. For the base I used Spaceshift by NYC (swatch), which is the most perfect silver color I've ever seen. 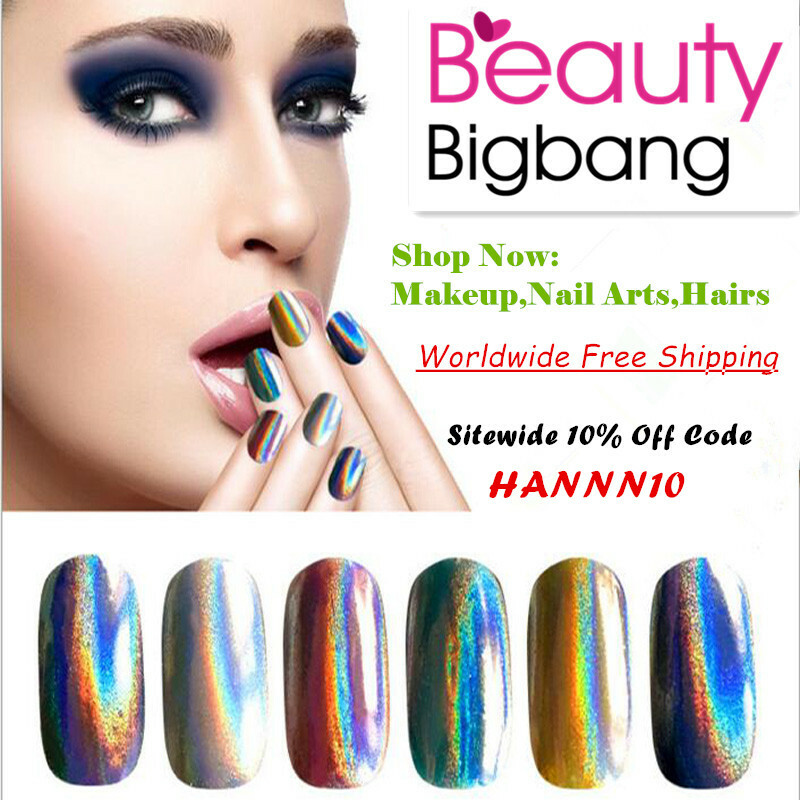 I just can't stop looking at my nails! 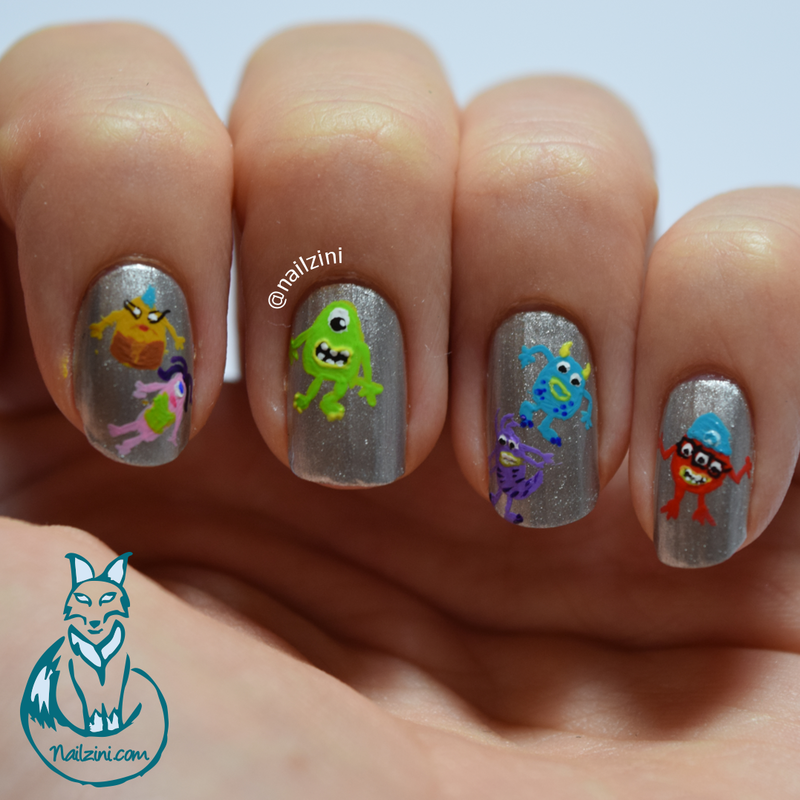 The monsters are inspired by Monsters, Inc, and painted using acrylic paint and a cheap brush I bought on Ebay. Here is a little pictorial on how to draw Mike Wazowski.